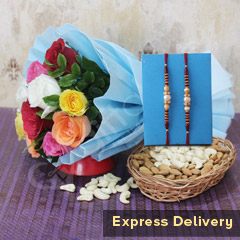 Want to win heart of loving brother but worried about missing the right time for it? 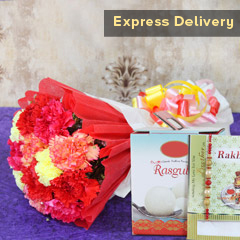 Well then here we are with this wonderful Rakhi gift option. 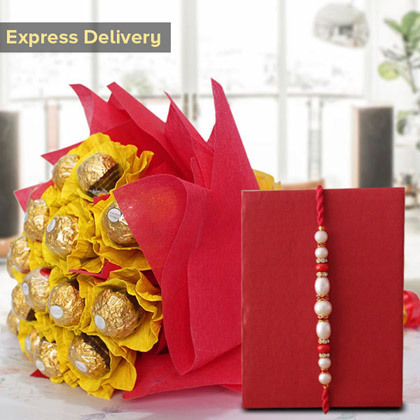 It’s a beautiful and very delighting bunch of Ferrero Rocher chocolates with a Rakhi to accentuate his wrist. All that you need is to hurry to place order now!